It might look a bit plain on the outside but Wow! 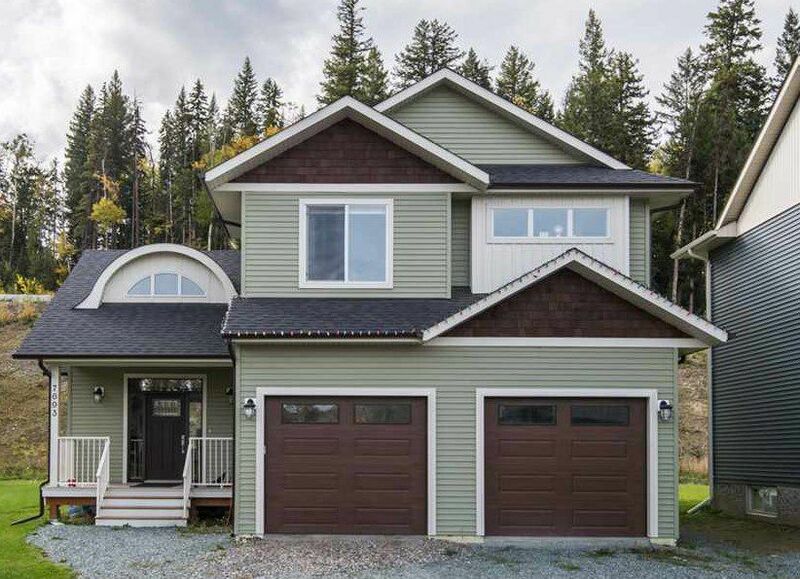 Inside, Craftsmanship, innovation, and local pride are absolutely apparent in this gorgeous 2013 Hospice show home that is on a deceiving large lot. Style and class are an immediate eye opener upon entering a grand open great room that features custom Caledonia glass staircase, McInnis halogen lighting and Aquawave fireplace with driftwood mantle that crawls up soaring vaulted ceilings. A kitchen is a place to express your creativity, entertain and impress and that is no exception here where crisp 3 tone cabinetry, cool Corian countertops over a huge center island that will please any chef. Floor to ceiling windows bask the home in daytime light and Track, neuvo retro and feature lighting make the home shine during the night. Upstairs are 3 vast bedrooms all with kraft detailing, built in shelfs and big closets. The yard looks from the front that it is all hill but that is not so and this lot actually has the 2nd most flat area of any lot in the subdivision.